We are keen to help patients improve on self care and hope that the following information will offer some insight into that. There is a wealth of information on NHS Choices about healthy living for everyone, as well as information on how to manage specific conditions. Click the logo below to visit the CareHub website. Produced with the Northgate Village Surgery Patient Participation Group (PPG). The PPG has worked together with the Surgery to produce a handy booklet containing details of local and national charities and services on a variety of conditions and topics. Copies of the booklet are available in the waiting room at the Surgery. We now have a new service which allows you to get specific self-help information, log queries with our administration team, and get advice from your GP without needing an appointment! 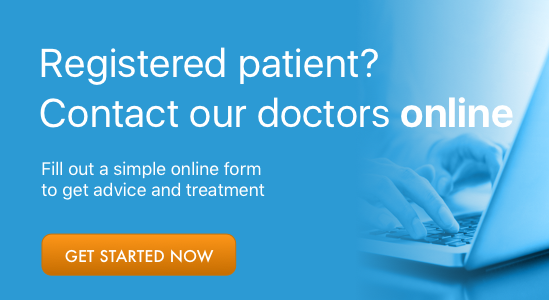 You will be asked to complete an online questionnaire about your symptoms, and this will be passed on to either your preferred GP or the Duty Doctor, depending on the nature of your problem. We will then contact you with advice, a prescription, or to book an appointment if it is required.